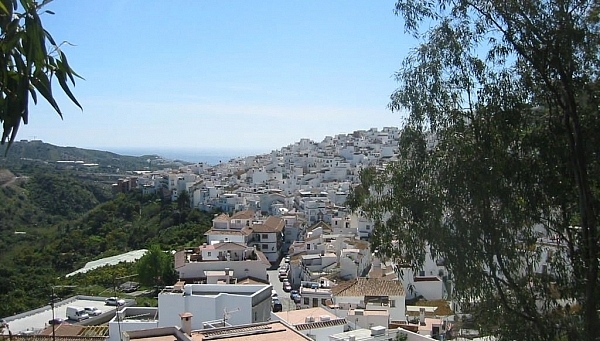 Casa Torrox is nestled into the narrow streets of the whitewashed village of Torrox, Andalucia, Spain. Just 7 minutes from the beach it combines authentic Spain with a wonderful beach. It is 35 minutes drive east from Malaga airport which is served by Ryanair and Aer Lingus. As a genuine Spanish village, Torrox is incredibly cheap with a meal for two with wine costing no more than €20. The village square has half a dozen bars/restaurants. The house is fabulous with views to the mountains and it’s own rooftop pool. It has an enormous master bedroom with en-suite bathroom and two other bedrooms. It has satellite TV and BOSE sound system. It is quiet and peaceful. Click the link to find out more then call us on 028 22957 to book.